(Washington, DC) State laws that encourage school-age children to be screened for dental disease have mixed results connecting children with needed care, according to a report released January 31, 2019 by the Children’s Dental Health Project (CDHP). Dental screening laws (DSLs) aim to improve students’ access to oral health care and address dental disease among children. Yet CDHP’s research finds that several factors limit DSLs from fulfilling these goals. Access the report at http://bit.ly/CDHPdsl. Screening laws exist in the District of Columbia and 14 states: California, Georgia, Illinois, Iowa, Kansas, Kentucky, Nebraska, New York, Oregon, Pennsylvania, Rhode Island, South Carolina, Utah, and West Virginia. Over the last 10 years, only three states have enacted DSLs. By the start of 2019, DSLs had been proposed in two additional states: Connecticut and Michigan. CDHP’s report reveals that several factors limit states’ successful implementation of screening laws. Key barriers include states’ difficulty creating a mechanism to facilitate referrals for children who need follow-up care; states’ failure to use screening data to evaluate the impact of DSLs; and the limited capacity of state oral health programs to coordinate or implement these laws. States may also lack an adequate number of dental providers participating in Medicaid, directly limiting students’ ability to obtain treatment if their screening identifies an oral health need. Solicit and share best practices. For legislation to be effectively written and implemented, advocates exploring DSLs should learn from the experiences of those who have already developed these laws. Evaluate a DSL’s impact. This includes sharing and analyzing screening data, and expanding a state oral health program’s capacity for evaluation. Such assessments may produce insights applicable to other oral health efforts. Build diverse coalitions. Engaging non-dental providers and school nurses, for example, can ensure a proposal is designed to meet its core objectives. Those seeking to enact a DSL should also seek input from parents, patient navigators or others who work closely with families on health challenges. Use DSLs as opportunities to engage both dental and medical providers. Advocates should ensure that a DSL allows medical providers to perform screenings, enhancing the likelihood that more kids get screened. The passage of a DSL could be cited to encourage more dental and medical providers to participate in Medicaid. In addition, stakeholders could also consider using these laws to support a statewide dental needs assessment that identifies and addresses gaps in the dental safety-net workforce. In many communities, children in struggling families may not have a dental home and may face other barriers to staying cavity-free. If left untreated, dental disease can interfere in a child’s education and harm their healthy development. While nearly nine in 10 children have dental insurance, whether through private plans, Medicaid, or the Children’s Health Insurance Program, maintaining coverage doesn’t guarantee their access to services. Research for CDHP’s report was gathered primarily from telephone interviews with 18 leaders, mostly state dental and public health officials. Interviews were also conducted with individuals representing organizations focused on school-based health programs and children’s advocacy. This report was supported by the American Dental Partners Foundation. 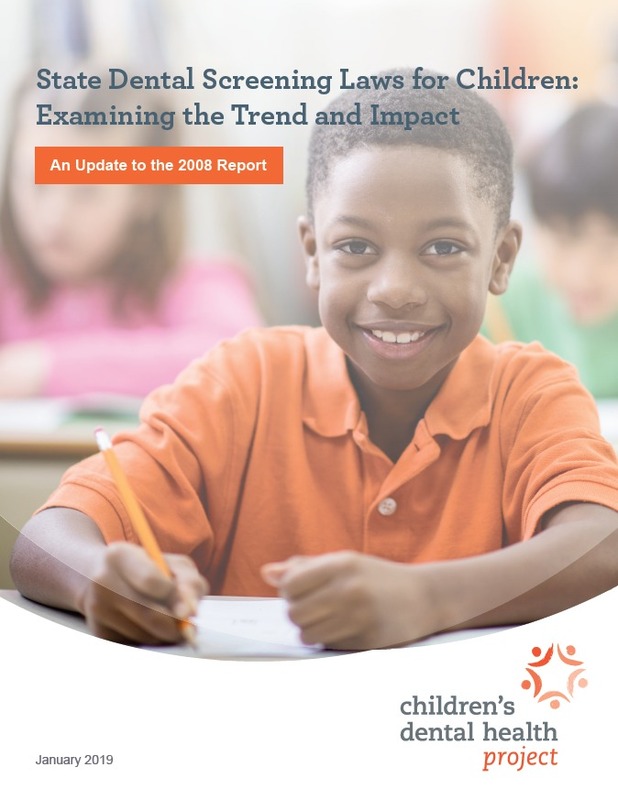 Download a PDF of the report using the above link, or by clicking here.